Brian Cox has revealed he will be filming an episode of the next series of HBO drama Succession. The 72-year-old plays the head of a dysfunctional family behind a global media empire in his native Dundee, where his character was also born. Cox has compared his Succession character Logan Roy to King Lear, one of his best-known stage roles. 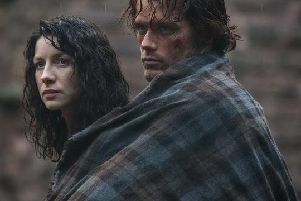 He only discovered that his character was born in Dundee towards the end of filming on the first series, which was launched to critical acclaim last year. He told The Scotsman: “The irony is we started Succession and I originally wanted to play him as Scots. I thought it would be interesting to play Logan Roy as Scots. “And the writer went, ‘He needs to be American.’ And I was like, ‘Okay, fine.’ And the director, Adam McKay, who did Vice, said: ‘I think the Scots idea is a good idea.’ We left it and the compromise was that I was born in Quebec, Canada. “Now, this was on the pilot. So we were filming the last bit of it, episode 9, in Eastnor (in the Cotswolds) for this sequence where we came back to England for my daughter’s wedding. Discussing the show previously, Cox, whose best-known screen roles include The Bourne Identity, X2, Adaption and Deadwood, said: “Logan’s need for control is reminiscent of classical stories like King Lear and so many other parallels in classical literature. He’s at a point where he wants to let go, but he can’t. Now, there are reasons of his own vanity that he can’t. But there are reasons that the children aren’t ready to run the show. Speaking ahead of his forthcoming homecoming, Cox told The Scotsman: “I hope I reflect Dundee. They call it the City of Discovery, but really it’s the city of survival. It’s not the City of Discovery. I’ve such a strong affection for it. “I mean, I’ve hated the city too – because I’ve hated the city fathers, what they did to it in the 1960s. It was disgraceful.